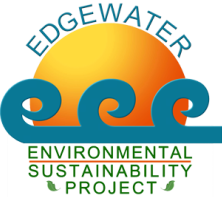 The EESP team will provide support for bicycle, pedestrian and mass transit accessibility throughout Edgewater and surrounding communities while working to mitigate and reduce the effect of vehicular traffic. This commentary focuses on the redevelopment of Lake Shore Drive (LSD) in the Edgewater neighborhood. Bryn Mawr, Hollywood and one pedestrian tunnel at Berwyn Ave.
with the many types of park users. order to reduce fossil fuel emissions and pollution. transportation demand of the corridor while relieving traffic congestion?  Is involvement of Lincoln Park land in the reconstruction restricted by net zero loss?  How can the diverse non-vehicular traffic be managed at intersections?  Are the overpasses going to be rebuilt, replaced or eliminated? Solutions vary depending on version. warn users of upcoming crossroads and other risky situations, and lighted by solar power. efficient lights at intervals as back up. viaduct access to LP on Foster, Bryn Mawr and Hollywood.  Create east/west bike lanes to the lakefront trails at Foster, Bryn Mawr and Hollywood. access to the Thorndale El Station and Park District Armory at Broadway. installing permeable pavement where possible.  Managing the traffic exiting and entering LSD at Hollywood as part of broad scale Master Planning. Updating traffic control and traffic patterns to meet the use from the increase volume of cars.  Extend CTA bus/trolley service along the major E/W corridors into LP during the recreational season. backup power may be necessary on occasion. parkland sections west of LSD should remain intact.  Improved access and community use of LP west (The Meadows) of LSD should be a high priority.  Add more native, low maintenance landscaping to LP and along the NLSD corridors.  Consider solar panels designed for highway surfaces in the rebuilding.  Have chargers for electric vehicles available in the parking lots. explore re-use for the product.